One of the greatest Hungarian composers, was among the most significant musicians of the 20th century. His music was invigorated by the themes, modes, and rhythmic patterns of the Hungarian and other folk music traditions he studied, which he synthesized with influences from his contemporaries into his own distinctive style. Béla showed precocious musical ability and began to compose dances at the age of nine. In Pozsony, Bartók studied piano under distinguished teachers. In 1907 he became a piano instructor at the Budapest Academy and remained in this post for more than twenty-five years. Bartók began to collect folk music in Hungary's Békés County in 1906. He became interested in other folk traditions, studying the folk music of Romanians, Slovakians, Serbs, Croatians, Bulgarians, Turks, and North Africans as well as Hungarians. The main task of his life was to collect, analyze, and catalogue major portions of the world's folk music. In 1907 Bartók made his first trip to Transylvania to study the Székely people – a distinctive Hungarian-speaking minority of present-day Romania-. Bartók became ill with leukemia but was treated for years, until his death, September 26, 1945, in a New York hospital. He was buried in Woodlawn Cemetery in New York. In 1926 he composed a series of major works for piano. 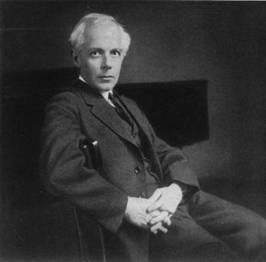 His third and fourth string quartets, from 1927 and 1928, in Bartók's most abstract and concentrated style, are among the works most often cited as masterpieces by music critics. Much of the music for which Bartók is remembered was written in the 1930s, often in response to commissions from abroad. 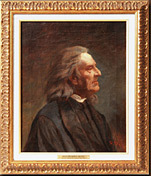 Born on October 22, 1811 in Doborján, Hungary Franz Liszt was soon recognized to be a child prodigy at the age of six. Tours and many performances generated amazement and praise for the young Liszt by audiences, musicians and Kings. Playing on par with established professionals at age 12 Liszt was fast becoming a sensation. In 1826 Liszt's father Adam died and then he earned a living by teaching piano lessons in Paris. He travels all around Europe. In 1835, he travels to Switzerland where he composes several impressions of the Swiss country. In Portugal he is described as, "God of the piano," and along his journey he performed charity concerts for various causes. He retires from the concert stage in 1847. By 1848 Liszt settles in Weimar, living in the Altenberg as Court Kapellmeister. He establishes the Conservatory of Music in Budapest and he is elected its first president. The grand master died at 11:30 PM on July 31, 1886. Liszt is documented as being the first person to ever attempt using music as therapy after visiting sick and demoralized patients in hospitals. The majority of Liszt's compositions breathe with a human beat of passion rather than a metronomic, or robotic, beat that is many times a slave to pure notation. Liszt released the very heart, soul, and to some people's chagrin, demons of mankind. He developed the transformation of themes, He was the first and true inventor of impressionism and atonal music, well before Debussy and Schoenberg. He was the first to fully orchestrate on the piano, utilizing all its undiscovered resources, He created strikingly original orchestrations utilizing unconventional instruments such as, the triangle Piano Concerto #1 , harp Dante Symphony and bass drum Héroïde Funèbre. He invented the symphonic poem. "He possessed the most pianistic mind in history." Kodaly's work was not immediately accepted by " the establishment" who regarded this folk music to be uncultured, and unrefined. The quality of these works caused them to receive worldwide recognition in the field of ethnomusicology. In later years Kodály was president of the Hungarian Academy of Sciences, president of The International Folk Music Council, and honorary president of the International Society for Music Education. Kodály spent a lot of time visiting schools and talking to music educators.